Find Mountain Island Lake, NC Homes for sale. View Photos, Maps and MLS Data Now! Stonewater - This home is a must see! MLS#3498810. DR Horton Inc. Overlook - Easy access to I-485, Uptown Charlotte, and airport. MLS#3490322. Allen Tate Huntersville. All of this and conveniently located within walking distance to the park, playground, and pool. MLS#3495710. Keller Williams Huntersville. Riverbend - Wonderful sunroom, for ultimate relaxation, leads to the incredible fenced yard with deck and custom brick patio. Storage shed. Picture perfect! ! MLS#3485889. Cottingham Chalk. This home has had only one owner and it's been very well cared for. MLS#3496528. HouseMax Realty. The master bath has a garden tub and shower. New Roof 2019. MLS#3497200. Allen Tate Huntersville. Shows like a model!Outstanding amenities: clubhouse, pool, soccer/rec field, tennis/ basketball courts, walking trails, playground, boat launch, dry boat storage and neighborhood patrol! MLS#3495869. EXP REALTY LLC. Make this move in ready house your home! MLS#3494664. Allen Tate Center City. Access to uptown, airport, 485, shopping and retail only minutes away. MLS#3481266. Real Living Margaret Ford Realty. Amazing neighborhood amenities and close to airport, Uptown Charlotte and I-485. MLS#3491187. Helen Adams Realty. Kitchen has 42 inches cabinets, ceramic back splash, and eat-in-bar. MLS#3495117. Carolina Realty Solutions. Neighborhood has a park and walking trails. MLS#3493353. E Realty. Brookmere - Quiet neighborhood with low HOA dues and convenient to retail, restaurants, interstates, and airport. MLS#3492595. Realty One Group Revolution. 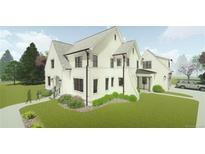 Convenient to I-485, I-85 and I-77, Uptown Charlotte, Birkdale, Northlake and USNWC. MLS#3489914. Helen Adams Realty. Close proximity to shopping, dining and entertainment and easy access to highways. MLS#3491174. Redfin Corporation. 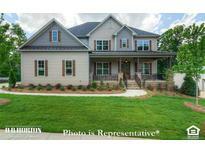 Riverbend - This home is a Must See! MLS#3487010. Keller Williams Huntersville. A cool and airy sanctuary perfectly suited to a relaxed life-style awaits. MLS#3493517. Keller Williams South Park. Close to the airport, white water center and I-77/485. MLS#3494860. Pridemore Properties North LLC. The level backyard is lush and green, and has just the right size patio for grilling, perfect for weekend fun. MLS#3492727. Bungalo. Call 704-775-1236 today to schedule an appointment MLS#3493364. EXP REALTY LLC. Large lot .82 and conveniently located in the neighborhood near pool, clubhouse, tennis courts and sidewalks. MLS#3488599. Keller Williams Huntersville. Home comes with a 13 month Home Warranty! MLS#3493299. Better Homes and Gardens Real Estate Paracle. River Park - Discover the convenience of neighborhood amenities with the allure of small town charm at Moores Branch. MLS#3492859. Allen Tate Huntersville.